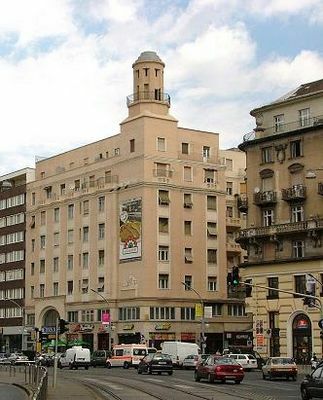 Our hotel is located in the historic heart which boasts easy access to all the top attractions in Budapest. You can reach a host of attractions easily; visit the Parliament, the Hungarian State Opera, the Hungarian National Museum, the Heroes Square and the Buda Castle among others. Within walking distance, you can discover the main stops of the undergrounds (Deak Ferenc ter), trams and the main buses. Stroll along the Vaci street, the most famous pedestrian artery of the city. The hotel is very close to Andrassy ut, part of the UNESCO World Heritage and the Great Synagogue, the largest synagogue in Europe is within 50 m.
Our hotel is located in the heart of the city, in the historic downtown, with easy access to all the top attractions of Budapest.